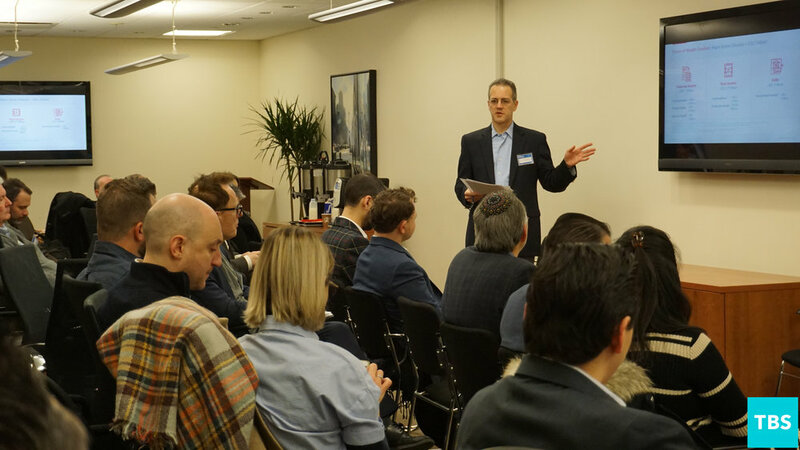 On January 31st The Blockchain Society hosted a special, executives only conference for corporate and entrepreneurial thought leaders in New York City. 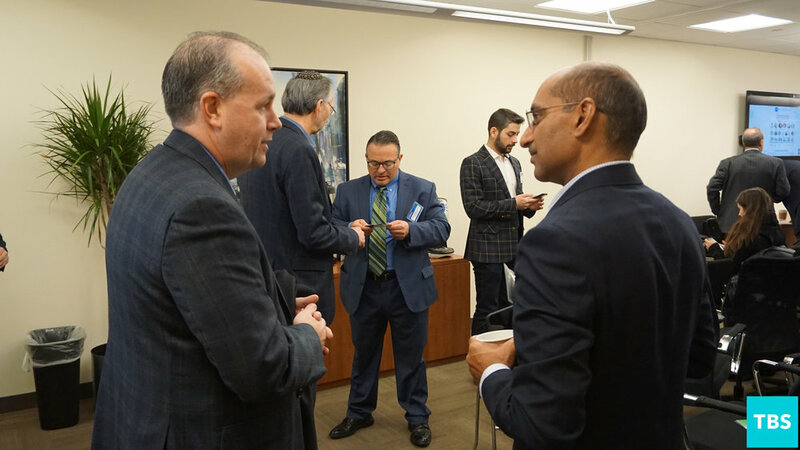 Hosted at Withum’s Midtown office, The Blockchain Society’s Security Tokens Conference was a chance for thought leaders in the space to share new exciting research and meet one another face-to-face. 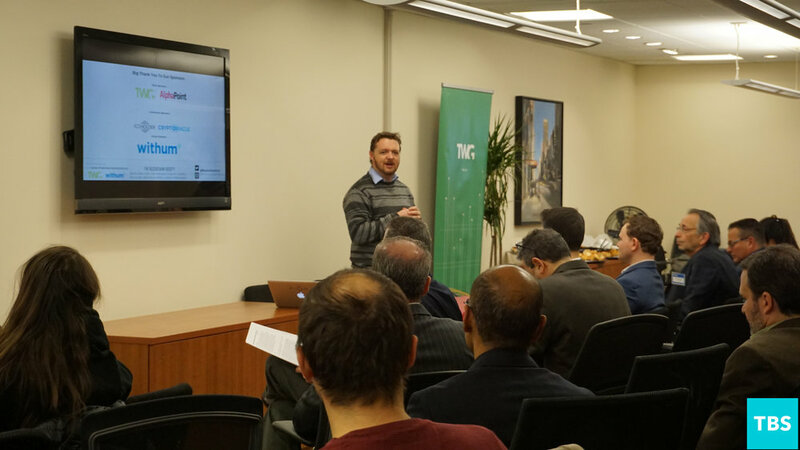 After guests arrived and had the chance to mingle, Jay Cleary of The Blockchain Society welcomed those assembled to Withum’s office. Mr. Cleary explained a little bit more about the The Blockchain Society, and emphasized the deal-making nature of the conference. Guests were encouraged to network and meet other big players in the space. Ned Myers, Head of Product & Marketing at AlphaPoint, opened the conference with a keynote speech about the work his company AlphaPoint is doing to develop enterprise-grade software that enables institutions to both tokenize illiquid assets and trade those assets on an exchange. AlphaPoint is creating comprehensive technology solutions for clients, and opportunities for partners, across a wide range of capital markets stakeholders — asset managers, broker dealers, ATS or other licensed exchange operators, institutional traders, funds, asset owners, debt or equity issuers, family offices, custodians, market makers, software companies, or other organization in the digital asset ecosystem. Ned Myers, Senior Vice President & Head of Product at AlphaPoint, brings over 25 years of proven FinTech experience rapidly growing software, data, and information businesses in structured finance, mortgage and capital markets while managing marketing, sales, product, operations, and strategy functions. In this role as AlphaPoint’s Head of Product, Ned is charged with leading the product management and marketing of the company. Prior to joining AlphaPoint, Ned led the capital markets and government businesses for Black Knight Inc.’s Data & Analytics division, a leader in mortgage information. He has experience working with both traditional and esoteric asset classes, having worked directly with issuers, servicers, broker-dealers, and investors dealing with nearly two dozen asset types. Ned has been published in various books and trade journals on topics including technology issues in securitization; Regulation AB; and the application of advanced techniques to value mortgage-backed securities. An initial board member of the Structured Finance Industry Group (SFIG), Ned has co-chaired its Membership Committee and the Data & Analytics Committee while serving on other working groups covering topics like RMBS 3.0, Regulation AB 2, rating agency reform and risk retention. Ned holds a bachelor’s degree in economics with concentrations in finance and marketing from the Wharton School of the University of Pennsylvania. After Mr. Myers’s keynote speech, a group of Blockchain Investment experts formed a panel to discuss the topic. Participating in the discussion was Spencer Potts, Partner at Maximalist Ventures, Rob Kenedi, General Manager at TWG, Nisa Amoils, Partner at Republic Labs, and Simon Grunfeld, Founder of Ibinex. 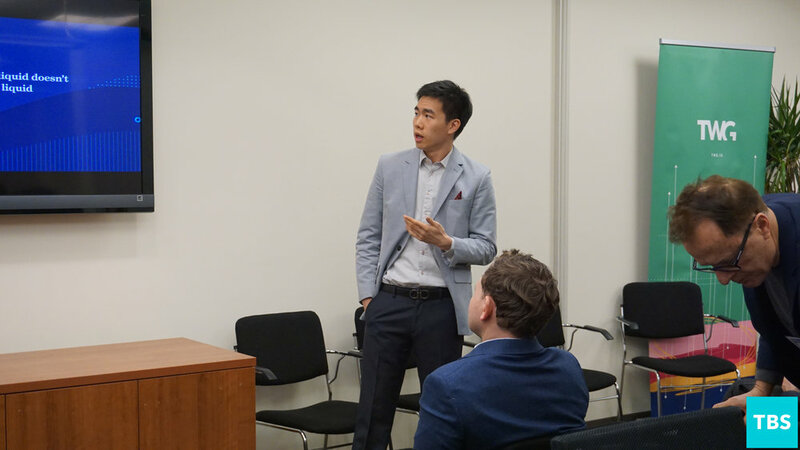 Following the exchange of Blockchain Investment knowledge, Nelson Chu, Founder & CEO of Cadence, delivered a keynote speech in which he discussed the core values of his digital assets company. Cadence is transforming wealth management by connecting retail investors to alternative investment opportunities. Nelson Chu is the founder and CEO of Cadence, the leading investment platform for tokenized alternative assets. He is a 3x startup founder with several years of experience at the top investment management firms, including Bank of America and BlackRock. Prior to Cadence, he founded a strategy consulting firm specializing in helping companies build products and raise capital for growth, creating over $1B in equity value. He currently serves as an advisor to an ultra high net worth family office and is an active angel investor, with notable investments including BlockFi, Cadre, Care/Of, Clover Health, dv01, Tala, and Uala. A second panel formed after Mr. Chu’s talk, this time discussing STOs in the crypto space. Joining the panel was Jennifer Litorja, COO at CryptoOracle, Mark Eckerle, CPA at Withum, Alexander S. Blum, CEO at Atomic Capital, Sean Nasiri, Operations at TokenSoft and moderated by Tim O’Regan, Banker & Investor. The panels continued with a conversation comparing the use of Security Tokens and Utility Tokens between Patrick Springer, Advisory Board Member of Polybird Exchange, Franklin Bi, Associate Director of Blockchain Strategic Advisory at Wachsman, Jon Fox, Founding Partner at Maximalist Ventures and Rika Khurdayan, Founding Partner at Dilendorf Khurdayan. Concluding the conference was a panel about Real Estate Tokenization, during which those remaining got to hear from Max Dilendorf, Managing Partner at Dilendorf Khurdayan, Michael Gord, Founder & CEO at MLG Blockchain, Benjamin Polen, Founder and CEO at Allodeum and Yoshi Nakamura, Global Head of Sales & Business Development at Galaxy Digital Trading.